In 2015, a whole body dissection course was proposed by the University of Palermo (UoP), Palermo, Italy, thanks to the cooperation with the University of Malta (UoM), Msida, Malta. The purpose of this study was to show the difference between the study of anatomy on books and on corpses. 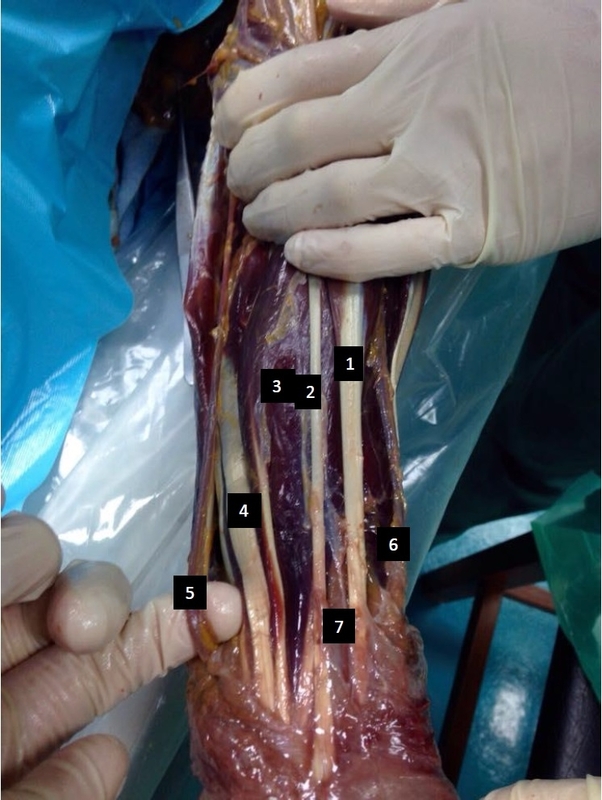 The article focuses its attention on the dissection method of the upper limb. The study was performed on two corpses, a male and a female, by using a basic surgeon kit. Blunt dissection method was used for fasciae, innards and to isolate vascular-nervous structures from the fat; we used scalpel for cutis, sub cutis, muscles and tendons. We compared the anatomy figured by books and cadaver’s anatomy. We separated muscles, fasciae, veins, arteries and nerves of the upper limb from the shoulder to the hand. The upper limb dissection shows the difference between how a real body appears and how books represent it.